Today we are running Part II of The Decade’s Definitive NFL All-Bust Team over on FWG-NFL we’ve combed over thousands of possible candidates to bring you the 11 best (or worst, depending on how you see it). 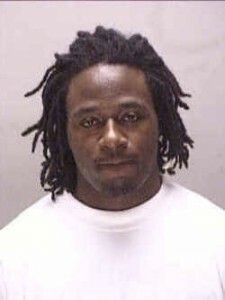 The young man above is Adam “PacMan” Jones. While you should go and check out the rest of the picks here I’d like to share with you a story about my time, albeit brief, with Mr. Jones. PacMan, as he was known then (before the second coming of Adam), was a standout DB for West Virginia. They came to Rentschler Field in 2004 to play us (UConn). If you didn’t guess, now you know; we got blown out. Not even close. Even with future NFL Draft picks Dan Orlovsky and Alfred Fincher, we just couldn’t match the speed or athleticism of the Mountaineers, who were led by that young stud on defense; PacMan Jones. Well come the 3rd quarter, frustrations were high with our linebacker (and now CFL player) Mo Lloyd. Mo was a tremendous talent, and would go on to set the record for tackles in Motor City Bowl. Anyway, Mo was jawing at PacMan, I believe it was a special teams play, when PacMan retailiated not with words (that 3rd grade vocabulary must have eluded him) but by spitting in Mo’s face and following it up by grabbing his facemask. In the NFL, where character is king, I’m not sure how they missed this red flag. But their mistake is our reward, which is why I’d like to extend an heartfelt congratulations to PacMan, as he now sits perched high atop our list of the greatest NFL Busts of all time.